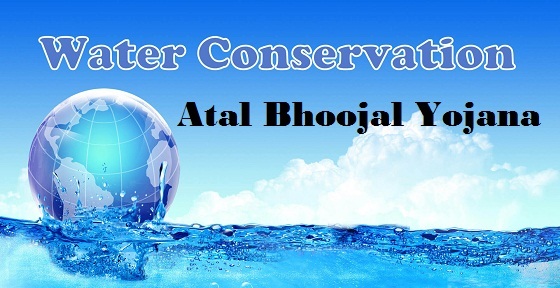 Central Government is aiming to initiate Atal Bhujal Yojana – Water Reservation Scheme for dealing with conditions of water bodies all over the country. In order to meet the needs of the agricultural sector, the proposed scheme helps in raising ground water level and maintaining sustainable water management. Advantages – The main of the scheme is to revive the ground water level especially rural India. Beneficiaries – It has been planned by the central government to implement the scheme all over the country. This scheme would help people to easily use ground water along with the water from Ganga River. Also, the rural people would be more benefited from this scheme compared to the urban dwellers. Provisional Budget – A budget of Rs.6000 crore has already been sanctioned by the government for the ease of this scheme. But the sanction procedure is not yet over by the Finance Ministry. Also, certain discussions are still at hold between the Union Ministry of Water Resources and World Bank. Necessity–The underground level of water has reached the lowest level in the last few years and therefore effective measures are being taken for improving the condition all over the country. The primary aim of the government is to conserve the water bodies mostly in the rural areas. With the help of this scheme, the government ensures ample supply for water bodies in the rural and urban areas. In this way, farmers would be able to use both underground water and Ganga River water to meet their agricultural needs. While analyzing the most affected areas, dynamic assessment has been carried out in collaboration with State Ground Water Departments where 1034 results as the exploited ones. Among the affected areas which are considered over-exploited and are suitable for the implementation of the scheme includes states like Haryana, Madhya Pradesh, Maharashtra, Rajasthan, Gujarat and parts of Uttar Pradesh. The announcement has been made by Union Minister of State along with Shri Arjun Ram Meghwal at a meeting held in Lok Sabha. The scheme has also been aimed to get rid of the insufficient agricultural water supply mostly in the rural areas. Therefore, authorities are working to implement the scheme at the earliest for the ease of people.